We are the leading manufacturer and supplier of earthing systems used in various industries. These earthing systems are manufactured by high grade raw materials and by officals are expert in their field. We follow strict measures while manufacturig earthing system. Owing to this we have received ISO, CE, UL, CPRI, ROHS certificate for the quality of our products. 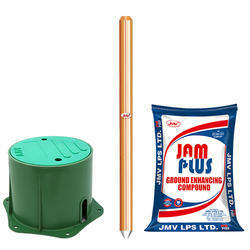 We also recommend the use of earth enhancing compound (JamFill & JamPlus) while using earthing systems. An ideal solution with compact packing and ready to use earthing system designed specifically for home earthing. 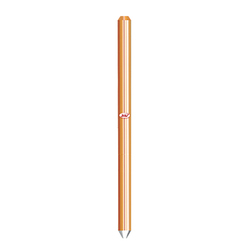 It is made up of solid SS rod available in 10mm dia & 4 ft. length. This Cost effective earthing kit providing hassle free installation and highly reliable system. Grounding/Earthing is an integral part of any electrical system & that facilitate us keeping our electrical equipment secure & protected. We offer advance Hot-dip Galavanized Iron Earthing Electrodes, a chemical earthing solution, thus ensuring remarkable fault current carrying capacity. The earthing enroute or create alternative path for excessive fault current generated in the presence of minimal resistance in the system. The product is ideal for sensitive equipment and manufactured with the use of components of high quality to ensure high reliability and good working life. We are the one stop solution provider in manufacturing world class Chemical Earthing Electrodes which offers superior quality grounding systems. GI Electrode offered by us is used for any application that requires High Performance Earthing. JMV is specialized in India in electrode earthing that provides everlasting solutions for your earthing system. Our safe earthing electrode make sure that they operate effectively during a fault and save both human lives and electrical and electronics appliances. 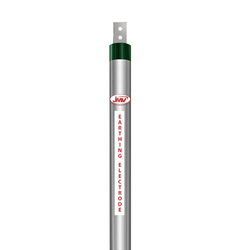 Gel Earthing Electrode provides a low impedance ground in areas of high soil resistivity. Collectively with JMV Backfill Compound (JAM Fill), the system dissipates lightning power and other hazardous electrical fault currents,even in sandy or rocky earth conditions. Offering the most efficient solution, we have developed a Super Earthing Kit, an innovative product providing hassle-free, reliable and economical grounding system based on solid rod technology which works in extreme soil condition. Copper bonded ground rods are the ideal driven earth rod as they offer the installer an economical and efficient earth rod grounding system. Pure electrolyte copper is uniformly molecularly bonded into a high tensile steel core to a minimum thickness of 250 microns (0. 254 mm), thus ensuring excellent corrosion resistance and eliminating electrolytic action. Coupling threads are formed by a rolling process to ensure thread strength and to maintain the integrity of the molecularly bonded copper. A good earth should have low electrical resistance to earth, good Corrosion resistance, and ability to carry high currents repeatedly, a reliable life of at least 30 years. It is available in 12 mm , 14mm , 17 mm dia with standard length of 1.2mtr, 1,5mtr, 1.8mtr 3mtr . Heavy copper exteriors molecularly bonded to high strength steel cores fully meet the requirements of UL Spec. 467 (ANSI C-33-8-1972). 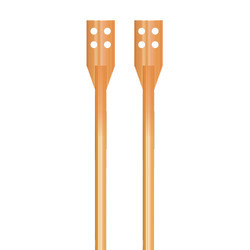 The rods consist of a pure copper jacket of 0.254 mm min. thickness. Also some of the sizes meet REA/RUS standards where the minimum copper coating is 13 mils (average 15 mils). For identification - Length, diameter, catalogue number with UL mark are roll stamped within 300 mm of the chamfered end on each rod. Private Labels/UL Multiple Listing can also be provided as per buyer's requirements. JMV is the leading manufacturer and supplier of earthing systems used in various industries. JMV is specialized in India in gel earthing that provides everlasting solutions for your earthing system. Our safe earthing electrode make sure that they operate effectively during a fault and save both human lives and electrical and electronics appliances. We are renowned manufacturers, suppliers, wholesaler and importer of earthing sets that are engineered by utilizing advanced tools and cutting-edge technology. Our product is quality tested and made from finest quality components which are specifically designed to provide complete protection from the damaging effect of lightning or other related current surges. 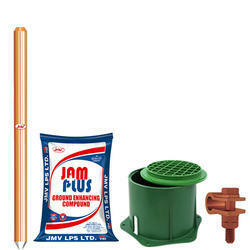 JMV LPS Limited, a synonym of quality products. We are the emerging leaders in manufacturing Compact Earthing Kit. We introduce an effective earthing solution vital to save human life, Consumer Property and utilities equipment. 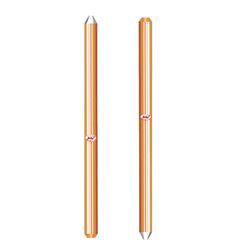 We manufacture complete range of Earthing Rod and customization is possible as per the client's requirement. Earthing is important for personnel safety, as well as lightning and surge protection. Earthing has numerous benefits which make it essential for every building at the time of complete electrical wiring. Earthing is important to make the electrical fitting safe and secure from the immediate shock or thunder storm that may affect building. We are manufacturer total earthing solution to protect your building to disperse the fault current so that expensive electrical and electronic equipments stay safe. We are the leading manufacturer, supplier and exporter of Reliance 4G Earthing. These are made from high quality raw material that meets all the required technical provisions. It is robust, highly reliable in operation and provides an efficient system for every soil type like sandy, rocky soil. Reliance 4G- Earthing made from superior quality raw material which provides high conductivity with high strength. 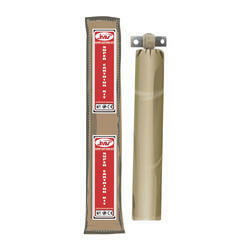 The product provides high protection against corrosion, long life, easy installation and maintenance free. JMV offers 4G-Earthing which provides low resistance path to any faulty & leakage currents in ground and ensures the smooth flow of the ground dissipation. 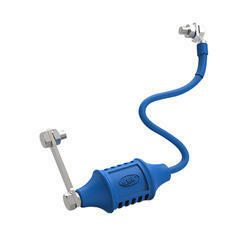 JMV's 4G earthing acquires inbuilt terminal for better conductivity and does not need any clamp which offer hassle free process. We offer advance earthing pit cover Chemical earthing compound Back fill compounds(jam fill) Back fill compound Copper bonded earth rods. Oil & gas refineries are receptive towards lightning and switching surges, the electrical and electronic systems involved in the system demand additional security from induced transients and over-voltages. Isolating Spark Gap Technology is designed to protect pipe insulation and insulation flanges against lightning surges. Moreover, the Pipelines Cathodic Surge Protectors grant savage for pipeline to protect them from corrosion. Looking for Earthing System ?